Tuesday night I had the most vivid dream. I dreamt that I was over in the mares' pasture and was noticing that Misty had gotten very fat. Martha arrived, and as I was walking her over, I said, "You won't believe how fat Misty has gotten!" Martha took one look at her, then at me... and then she ran to her car and brought back a stethoscope. She put the monitor up to Misty's belly, looked at me and said, "Shana... Misty's pregnant!!" I didn't really think anything of the dream, but I mentioned it to Amy when she came to train Misty yesterday. Amy looked at me funny and then looked down at Misty's teats. And without a word, she reached down and squeezed... And fluid came squirting out!!! I almost fainted... Oh my gosh... "Amy, omg... is Misty really pregnant?" Martha came to see Misty today... and she noticed that Misty's teats had grown in size. She expressed some of the liquid as well. She said it was clearish, yellowish and sticky. She said it was Colostrum. Dr. Kimmons said if it is Colostrum, then she is pregnant, and the foal will come soon. Tonight I called Isaac, the kid I got Misty from. I asked him if he though it was possible that she was pregnant. He replied, "I have no idea, Ma'am." Then he reminded me that he'd had her less than a month and said, "Well, I suppose she coulda been out in a field with a jack stud or somethin' before I got her... hahahah..." Yeah, that wasn't funny. So I grabbed the one piece of paperwork I have on Misty and called Daniel Smith's number. Me: "Hi Daniel... it's Shana, the one who had your Cheyenne. Do you think there is any way she could be pregnant?" Daniel: "Well, ma'am.... I wouldn't be surprised. Yeah, we were kinda wonderin' the same thing. You know it takes a year or so... and we didn't have her for all that long." Me: "Oh my gosh... well why wouldn't you be surprised???" Daniel: "Well the other mare we got from there was thinner than Cheyenne was. And she spit out a colt one day... surprised us all. The colt died... I guess 'cause she was so malnourished... Hey if she has a colt, let me know, will ya?" Me: "What? So she didn't look pregnant and you didn't know she was, and then she just had a baby?" Daniel: "Yep, she just spit out a colt one day right there in the field." So I texted back and forth with Dr. Kimmons, Martha, Amy and my friend Erin for a while... then upon everyone's advice, we opened the stalls to make a large double birthing stall... we put in fresh water and food and lots of clean straw on the ground. We put the other mares on the other side of the fence and let Misty have extra hay and a bowl of the mother/foal feed we had left over from Mirabella. Oh my goodness! Your last line tickles me... Gone With the Wind! I hope the baby is okay. I'm on pins and needles!!! All I can say is Oh.my.gosh! Shana, if Misty is pregnant and you just rescued her...there has to be some divine intervention going on here. I am thinking Willow is working her magic with you. What a blessing that a horse who has been through so much finds you now, at this time. Motherhood is so awesome, even for our animals, and she gets to share it with someone like you. Prayers for Misty and hugs to you! This is what happened with my sick skinny rescue mare. I laughed when they put broodmare on the paperwork. She had her baby caps popped off her teeth when her colt was gelded. Definite surprise. That's so amzing! I hope if she's pregnant that her baby is ok! When I got my horse I had such a bond with her that I knew something was up, she was bigger and laying down a lot. We called the vet and BAM he said she would foal any day. So mid January my mother and I put to heat lamp up and made her stall all cozy. I got woken up at 1 in the morning to my brother telling me that there was a baby in there with her!! Having a baby horse is the best. Good luck and best of wishes. OH My! What an adventurous summer you are having! At least with this baby, you cannot be faulted into bringing a new baby into the mix. Remember what started this journey, you were thinking of babies? Maybe this was the journey to bring one to you! Hope all goes smoothly! "Luuuuuuuuuucy"! Sorry, I couldn't resist:) seriously though, praying for Misty and her baby.........sending love. Didn't Michael mention having a baby? :D Prayers for all of you if she is pregnant. God will take over that is for sure. Willow led you to her at the right time .. there is NO question about that. WOOOOOHOOOOO I am so excited to be sharing this adventure....thank YOU so much!!! Nothing you can't handle darlin'! Oh my goodness LUCY! This could ONLY happen to you!!!! It is both sad and exciting. We bought a POA Appaloosa when I was a teenager and she was pregnant when we got her and we didn't know until not long before the foal was born! We named the little filly Apple Blossom!! I am so happy that Misty has you!!! You and she are blessed! Saying prayers! How exciting! I've heard of race horses that have run and had a baby the next day - nobobdy even knew! Shana - your adventure is so close to my heart, I can't wait for new posts everyday. I was once a horsewoman and owner but the horses God put in my life were always more than that. I am reliving those joys and sorrows with you each day. I am also like you in another way - I believe that things happen for a reason, it's purely spiritual and God moving in our lives. My mare, Daiquiri Sundance, gave me a beautiful foal that I named Hail Amigo and those two have been in my heart each and everyday. That was a very long time a go and they are both long gone. 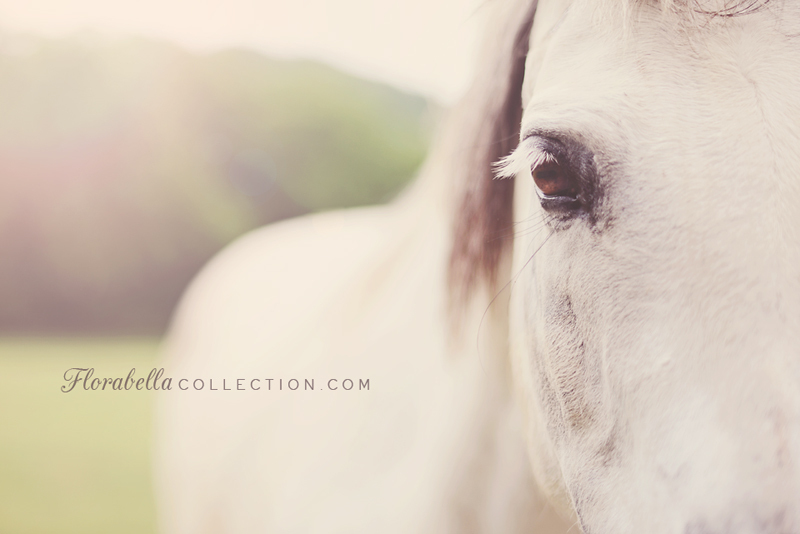 Thank you for being your horses' angel and for continuing to share your journey with us even after Willow has gone. They never leave us you know, their spirits linger where their hearts once were. Thank God for that! What a wonderful journey He has given you! I think it is wonderful Shana! Willow led you to two horses to save!!!! Bless you!!! xoxo We will be watching your blog and waiting for the baby horse birth announcement! :) Maybe you should call the baby Blue Willow!!! I just love your stories, through heart ache and happiness I check back daily! She will "wax" before she gets ready to foal, typically it is within 24-48 hours. The area to the left and right of her tail (croupe) will also become very loose, you can jiggle it with your fingers. I have a mee that has always had a real light / sticky milk even when she has been "dry" for years....maybe Misty was a broodare or even PMU Mare (she looks like she has drat horse in her and they seem to some times lean to those and Quarter Horses). If she is pregnant I cannot wait to follow your adventure! It was meant to be that you saved her and her baby. They were sent to you to love. You have such a big heart. Light & love to you all. Can't wait to hear about it! Any update Shana? Anxious to see what is happening!!! I keep checking in to see how Misty is doing and if she really had a foal. I hope all is well at the farm. eyelashes!! Such a gorgeous gal!